Primark - saints or sinners? The UK Parliament is currently examining the social and environmental impact of clothes production, especially items produced cheaply and quickly in response to changing fashion trends - commonly known as 'fast fashion'. The House of Commons environmental audit committee (EAC) have recently asked several fashion retailers how they could justify such low prices. 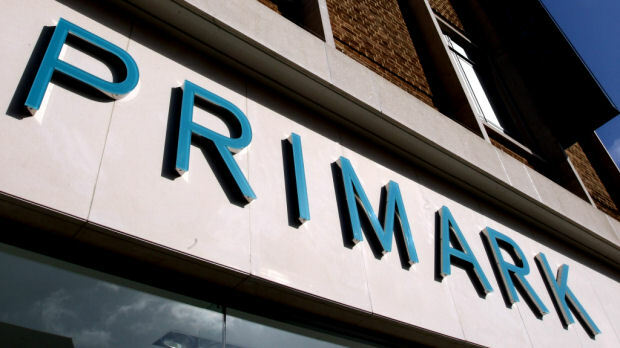 Primark's spokesman Paul Lister said the firm spent nothing on advertising and had tight profit margins. Representatives from brands including Boohoo, Misguided, Asos, Burberry and Marks & Spencer also gave evidence to the committee. Labour MP Mary Creagh, chair of the committee, asked Primark's head of ethical trade and environmental sustainability, Paul Lister: "How can you justify selling T-shirts in your stores for as little as £2 or £3, and how can you be making a profit on those?" Lister replied that: "Primark has never done any significant advertising at all, and that can save us in any year £100m to £150m, compared to some of our larger rivals. That goes straight into price. That keeps our pricing low. It's our business model that takes us to a £2 T-shirt." On the subject of waste, Mr Lister said that Primark had very little unused stock and was planning to launch a take-back scheme for consumers next year, where old clothes can be returned and used again by overseas charities. Ms Creagh suggested that by making garments so cheaply, they were being devalued. But Mr Lister replied that: "Every item that we make, we're looking at durability. We are proud of the quality and durability of our garments, they're not built to throw away." Why is Parliament looking at this issue? Producing clothes results in carbon emissions. Global textile production produces 1.2 billion tonnes of carbon emissions a year- more than international flights and maritime shipping. Last month, MPs on the committee concluded that the fashion industry was a major source of the greenhouse gases that are causing climate change. They believe that the throwaway nature of fashion is also fuelling fast turnarounds among suppliers, which might result in poor working conditions. As well as questioning Primark, the committee also took evidence from Carol Kane, joint CEO of online fashion house Boohoo. She was asked how the company could sell dresses for as little as £5 when the minimum wage was £7.83. She replied that this only applied to a small number of dresses intentionally sold at a loss, to drive more traffic to the site. Ms Kane said that: "I believe this all comes back to consumer demand. I've been in the industry for 32 years, and in that time I've seen prices decline." Jamie Beck, from the Arcadia group, which includes Topshop, Burton, and Dorothy Perkins said: "These garments aren't designed to be a disposable item, to be bought for [just] a holiday. They're designed to be long-lasting." What about high-end fashion brands? It’s not just the cheap ‘fast fashion’ brands who are accused of being wasteful. During the hearing, the premium fashion brand Burberry also defended criticism from MPs for dumping clothes. Earlier this year, Burberry was criticised for burning £30 million ($39 million) of stock. It admitted destroying the unsold clothes, accessories and perfume instead of selling them off cheaply, in order to protect the brand's exclusivity and value. Leanne Wood, Burberry's chief of corporate affairs, told MPs the firm was committed to stopping the activity, but she added: "It is an industry practice. We're the only luxury business that's reported it in their accounts, but it is something that happens in the industry." Boohoo, Misguided and Asos were also questioned on their relationships with suppliers accused of exploiting workers in Britain. Paul Smith, head of product quality and supply at Misguided, said the company had cut the number of businesses it worked with in Leicester - where many of the factories are based - from 35 to just 20 due to concerns about pay and conditions at some sites there. "Marks and Spencer are supposed to be a leading light in corporate responsibility, but even they pulled out of a scheme seeking to achieve living wages for garment workers through collective bargaining. Boohoo did not convince us that it had a grip on the potential illegal underpayment of their Leicester-based workers." All of these investigations into the fashion industry present some important (and awkward) questions for MPs. Where does the customer fit into all of this? It’s fine for highly paid middle class Members of Parliament to be critical of cheap clothing companies. But people who are surviving on low pay or on state benefits are delighted that the prices of clothing items have been falling over the last decade. Companies like Primark might not provide the highest quality items, but if you are a parent on a low income trying to clothe several children, then cheap items are a godsend. And because kids grow up so quickly, many of these items will be disposed of within a short time period, regardless of whether they cost £2 each or £20 each. It is strange that Mary Creagh, a member of the (Socialist) Labour Party is so concerned about cheap clothing, when it is the very people that she represents who desperately need help to be able to afford the essentials in life. And cheaper clothing is a massive help to poorer families. Obviously action needs to be taken to reduce waste, and ultimately to reduce damaging carbon emissions. But this committee of MPs seem to have taken a lot of evidence from the clothing companies themselves, but have not listened to the views of the long-suffering customers.